The Acura TLX is a standard-bearer in the realm of sharp, performance-focused luxury sedans—if you want a sedan with plenty of features that wouldn’t bore you to tears, the TLX is the model for you. This was particularly true of the 2015 Acura TLX, which marked a stunning entrance for the line. The debut TLX elevated Acura’s already prominent sedan presence by offering a uniquely thrilling luxury experience, packing fine craftsmanship and modern amenities with state-of-the-art performance features like Super Handling All-Wheel Drive. For a fun, fresh take on the luxury sedan that won’t break the bank, a Certified Pre-Owned 2015 Acura TLX is the way to go. Why Choose a Certified Pre-Owned 2015 Acura TLX? The prospect of buying used brings with it several concerns—will this used vehicle function as well as a new one? Is it in good condition? Will it break down on me when I leave the lot? The Acura Certified Pre-Owned program is designed to allay all these fears and offer unparalleled peace of mind to buying used. Every Certified Pre-Owned Acura model has undergone a 182-point inspection by a team of highly-trained technicians, all working to ensure that it’s running to the best of its ability. 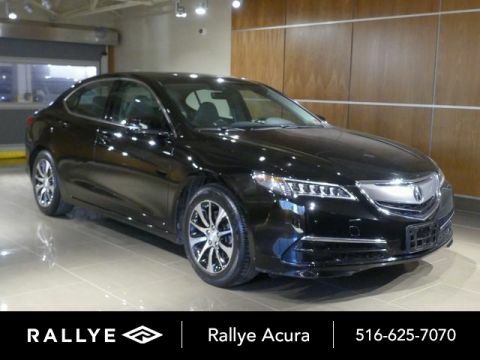 In addition, these models come with a complete vehicle dossier and extensive warranty coverage, so you know everything there is to know about your 2015 Acura TLX and can drive off the lot with confidence. Want to take a test drive? 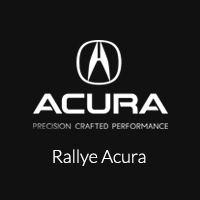 Visit Rallye Acura at 1750 Northern Blvd. in Roslyn, NY.